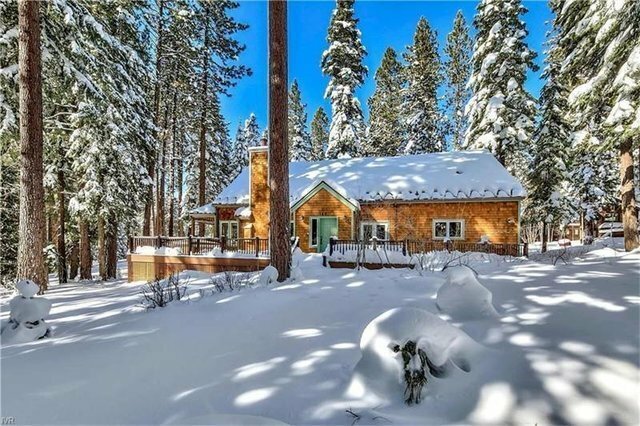 Tahoe Lifestyle Perfection! Private 1/2 acre setting overlooking Historic Golf Course. Rare offering turn-key Glenbrook Cottage has been extensively remodeled with timeless high-end finishes, main level living, master+2 guest BR down, 2 BR+Loft up+separate in-law suite. Expansive deck wraps around living area for outdoor entertaining, and year round enjoyment of covered hot tub.Remodel completed through 2017 includes new wood flooring, lighting, window coverings, carpeting,heated driveway and walkway, snow-melt heat tape and gutters, outside golf cart charging station, extensive landscaping, new 1000 gallon propane tank and 22.5 KW Generator. Gated Historic Glenbrook has a rich history with a true community spirit and unparalleled lakefront amenities. HOA amenities include community pier with seasonal boat shuttle to owner buoy field, parks and access to miles of hiking trails. Easy access to skiing, entertainment, shopping, airports and Bay Area. Residents enjoy NV TAX ADVANTAGES.